Post 3 of 3 today. For my Craft Stamper Take It Make It post click here, and for my Mixed Media Card Challenge post click here. It's a new month and a new CASEplorations challenge! This month our CASEplorations subject is this gorgeous card by Kim of Art Keeps Me Sane. Mine's a pretty straightforward CASE - I just swapped flowers for houses and swapped sentiment, left space at the bottom, and mounted my panel onto white base card. 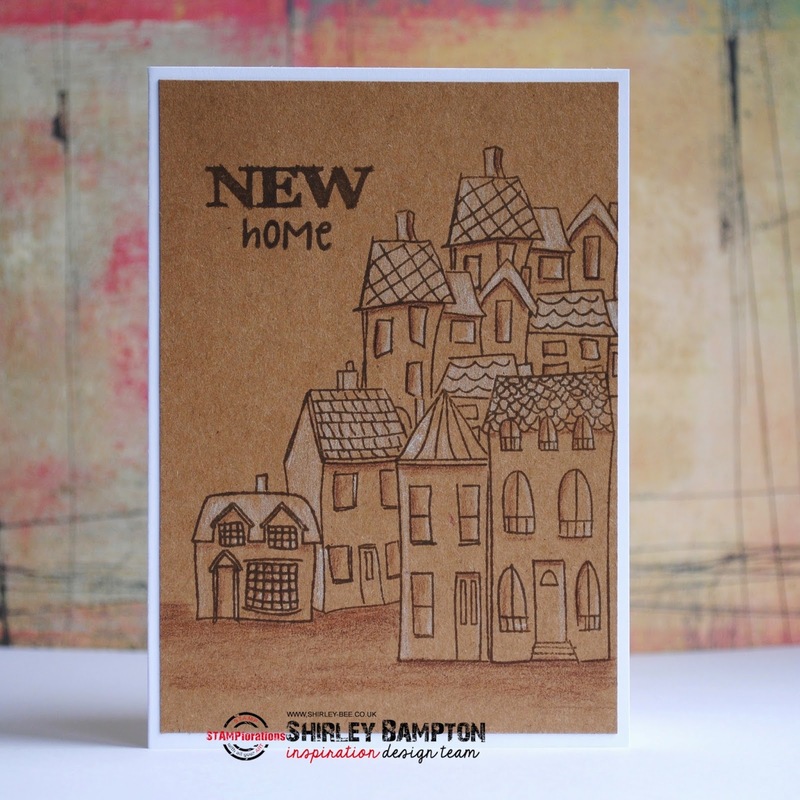 I stamped the images in Ranger coffee Archival Ink, masking as I went along, building up a village on a hillside. I used white and brown coloured pencils to shade the houses. It took me back to art lessons at school using conte crayons. I think I was in Poldark mood when I made my card. Think Truro when Verity meets up with Captain Blamey. The harbour is just out of view. Want to play along? CASE Kim's card, my card or any of the cards from the STAMPlorations girls, and enter it into the CASE playground for a chance to win goodies. What a pretty technique! I love how your houses stack up (I have this set and haven't used them yet). I also think that on the craft they look like they're in Spain or Portugal (somewhere sunny!) Great use of the supplies to create an atmosphere! Love your cute little village! LOVE it, the effect is so amazing! KA-THUNK! Yep, that was my jaw hitting the floor....not my keyboard....but all the way down to the floor. It hurts a bit, but I'll be okay! Wonderful card! You did a great job stacking up and masking the houses. Thank you for sharing this.